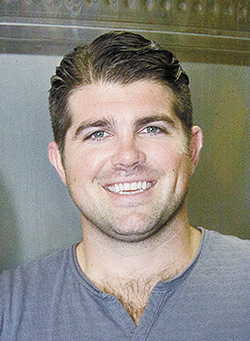 Copper Cane founder Joe Wagner has largely stayed quiet and out of the press as controversy swirls around his using of Oregon place names on his wines. In early October, he agreed to a lengthy phone interview with Oregon Wine Press; what follows are excerpts from that conversation. JW: I said to Jim Bernau that there are others using appellation names in their brand names, to which he got very aggressive and told me it would now be in the lawyers’ hands. We responded by filing to revoke his trademark, as the Willamette Valley name cannot be trademarked due to it being an appellation. Our wines use all Oregon fruit when we talk about it being from Oregon. Our wines that state we use Willamette fruit use Willamette fruit. If the wine is true to the fruit source, we should be able to use it in our story. To Jim Bernau and the old guard of Oregon, we are a threat. These people who think Oregon will be the next Burgundy have their head in the sand. Burgundy is Burgundy, and Oregon is Oregon. Make wines from your place and stop trying to imitate other wines and market them with an elitist tone. Our business is about bringing people together, not building another ivory tower. In the most recent Nielsen data, Elouan is up 52 percent, whereas Willamette Valley Vineyards is down 15 percent. We have been working our butts off to make the best wine possible and to spread the word of Oregon to the wine lovers across the country. It pains me to think that Jim Bernau and his antics are motivated not only politically to push their Willamette agenda while ostracizing Southern Oregon, but also to take such a stab because his wines don’t compete with ours in the market. To all wine drinkers out there, I challenge you to taste the difference … and enjoy. JW: The Willametter Journal is an exclusive brand for Total Wine. It’s a Willamette Valley Pinot Noir, but we don’t make the wines in Oregon. I like to do everything under one roof, so we layer in dry ice to keep the grapes chilled after we pick, and truck them to Rutherford. The TTB said we can’t appellate it as the Willamette Valley AVA because it’s made outside Oregon. So we went through many different versions of the label, appellated it as Oregon, bottled the wine and went on with our day. The TTB has gone through our books and seen all of our tags. We’re paying the same price for the grapes as everybody else; we understand that we can’t appellate it. JW: We think about a coast range that runs from Mexico through California and into Oregon. We’re saying there’s a maritime influence, stating how the Pacific plays a role in the terroir or climate. With Meiomi, we wanted to tell that story and make sure that people knew the grapes weren’t coming from the Central Valley. 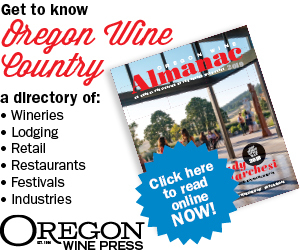 The Oregon Winegrowers Association and Oregon Wine Board reference “coastal” and “maritime,” too. There is a definitive character given to the wines from the proximity to the ocean. Calling it coastal doesn’t mean you have a view of the ocean from the vineyard. It’s just part of the story. From a business perspective, how can you turn down 2,000 tons of Rogue fruit, leaving the growers high and dry? JW: The potential issue on volume is 12 to 18 months out. We need to make sure that we deliver a product that people love. We’ll be getting more Willamette Valley fruit that meets our criteria, and will make a dent [in the loss of the Rogue fruit]. We were getting 40 percent of our Pinot Noir and 90 percent of our Chardonnay from the Rogue Valley — the Rogue Chardonnay is phenomenal. It would have been potentially damaging to the brand to bring smoke taint to the wine. We’d have to strip it out, and that could affect brand quality. If the volume takes a hit, so be it. I was very surprised to hear how many growers don’t have crop insurance in Oregon. I was baffled by that. I told them I’d pay more for fruit so they could carry crop insurance. It’s very much a tragic situation of tainted wine. Some growers will be upset with us and won’t want to do business with us, and I understand that. Why was the issue of smoke taint such a factor? Can’t you measure for it? JW: We call it the “sleeping giant.” Smoke taint effect can evolve over the life of the wine. It’s not as easy as saying, “the fruit tastes fine.” You can’t taste smoke taint in the fruit; the compounds are bound to the sugars. There are downstream potential issues. More education on smoke taint is an important thing; few people understand it. When we pulled samples, we got results all over the board. Why are you taking so much heat from Willamette Valley producers and media? JW: There is a big disconnect from how they see the business and how I see it. How do we get more people in the U.S. into fine wine? The old guard up there doesn’t see [what we do] as a quality driver. They want to be the next Burgundy. It’s local media and a biased perspective. We haven’t seen our story come out. Whether we like it or not, we’re the guys from California. But we have worked very well with the grower community and the wine community. The rising tide lifts all boats.